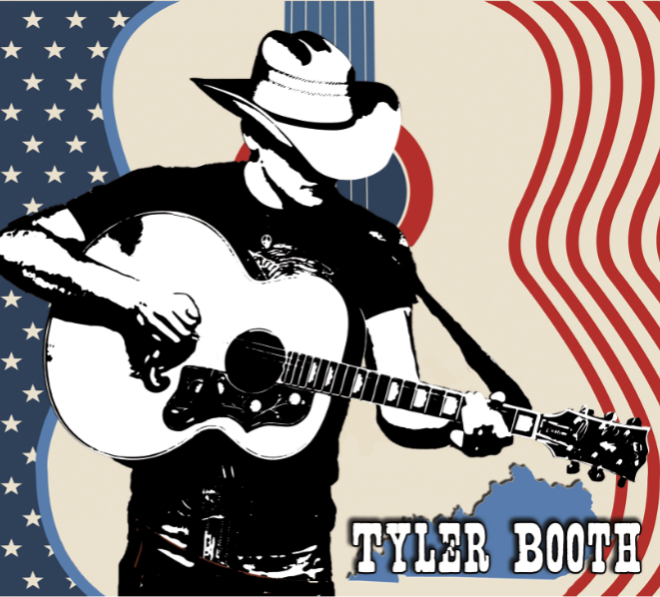 Tyler Booth is a young man from the Campton area of Kentucky who is an aspiring Country artist. At only twenty years of age, Tyler has perked the ears of some really big names in Nashville, where he has been recently recording. He has partnered up with Nashville veteran Phil O’Donnell who has worked with the likes of George Strait, Tim McGraw, Blake Shelton, Craig Morgan, as well as Kentuckians Billy Ray Cyrus, John Michael Montgomery and Montgomery Gentry. Just to name a few. 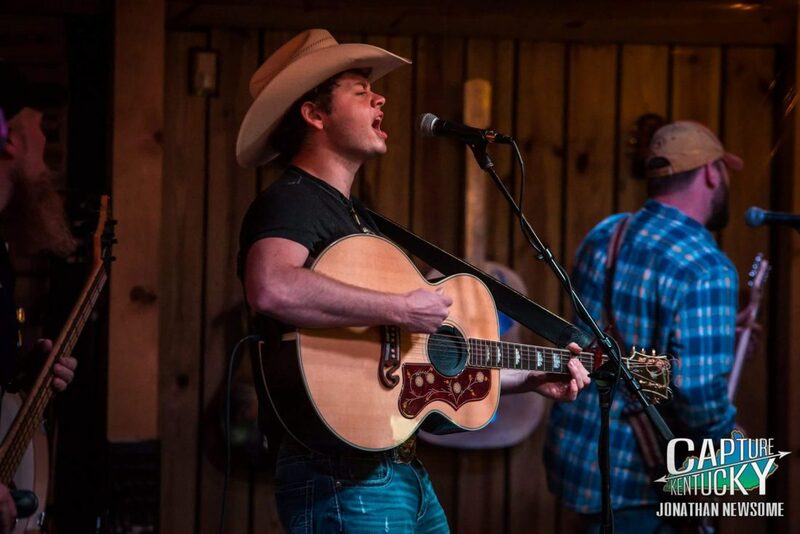 With a knack for songwriting and a smooth baritone voice, Tyler Booth is often compared to Jamey Johnson or Waylon Jennings. He has a very natural tone and singing comes pretty easy to him. I likened his delivery to that of the “Gentle Giant” Don Williams. Don has a way of seemingly just opening his mouth and the melodies fall out. Tyler has that ability, especially in an acoustic setting. Having said all of that, the culmination of years of hard work is about to be unleashed. On September 1st, in his hometown of Campton, Tyler Booth will have 500 copies of his debut CD for sale at the Silver Mine Festival. The album is a self-titled six song EP that you won’t be able to get anywhere but at his shows. Why? Well, as I previously mentioned, Nashville has interest, and Nashville isn’t a cheap place to make music. So this initial run will help Tyler fund the studio time to record a full-length album. The EP kicks off with a track called “Hank Crankin’ People” that was originally recorded by Country Star Josh Thompson. With no disrespect to Mr. Thompson, Tyler Booth’s voice simply fits this track much better. It seems odd to type that a 20-year old’s voice is more believable than that of an established artist, yet that is exactly what I’m saying here. At least to my ears it is. “Hank Crankin’ People” is a track that many will relate to and it’s actually a great introduction of Tyler and his musical style. You’re gonna want to go ahead and hit repeat for this one! Shane Minor is another Nashville veteran that has written for or with some of the biggest names around. Shane penned the next track on the EP with fellow songwriter Casey Beathard. “Bar High” is a song about finding your way in life while living with the cards you’ve been dealt. The chorus really allows Tyler to showcase his range, which is much wider than you’d expect from such a deep voice. “Bar High”, much like “Hank Crankin’ People”, is ready for radio and those songs will definitely catch even more Nashville ears. Okay, so I just raved over the first two songs, the third one has to be a let down. Right? Wrong. So, so wrong. In fact, I’m going to say something here that may be a bold statement, but I strongly believe. “If We Make It To Mexico” will be a hit. This song will put Tyler Booth on the map. Tyler is a young man and this track is about a young couples adventure. It’s almost like the perfect storm and once you hear it, I have zero doubts that you’ll feel the same way. I have a feeling that Tyler will be singing this one for many years to come. It’s simply a fantastic song penned by Wade Kirby and Phil O’Donnell. “Slow Train” is the first track that we get to hear that Tyler had a hand in writing. This one is what many would say is “in his wheelhouse.” Meaning that he’s very comfortable singing in the range of this song. It’s a tale of love gone wrong and his hopes for the recently departed. It’s a nice snapshot of the outlaw vibe that Tyler comes by naturally and a good indication of what to expect from him as an artist. It’s also very cool to hear that Jim “Moose” Brown helped write this one. Moose is a member of Bob Seger’s Silver Bullet Band and he also co-wrote “It’s 5 O’Clock Somewhere”. He co-produced a couple of Jamey Johnson’s albums as well. So that experience is great for Tyler! “Ready To Raise It” is a party in and of itself. Grab a cold one, pull up a stump by the fire and enjoy! Ain’t nothing else needs to be said! The last track is an unusual one. Unusual in the sense that you just don’t hear ballads on Country records anymore. “Surrender” was written by Tyler and it’s a very personal song. I’ll leave this song open to your interpretation, because art can and will speak to others in very different ways. What you do hear though, is an acoustic ballad that harkens back to what I wrote earlier in this article. The ease of which Tyler delivers this song. What Tyler Booth has delivered is a collection of songs that showcases all of his strengths. He shows us that his idols and influences all went by one name. Like Cash, Waylon and Willie. He shows us he has a tender side and that he isn’t afraid to use it. He shows us that he knows how to have a good time and thankfully he’s willing to let us all in to the party. Tyler Booth. That’s a name you’re going to want to remember. Doing It His Way. Tyler Childers Takes Nashville By Storm.